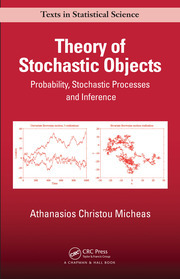 Game theory involves multi-person decision making and differential dynamic game theory has been widely applied to n-person decision making problems, which are stimulated by a vast number of applications. 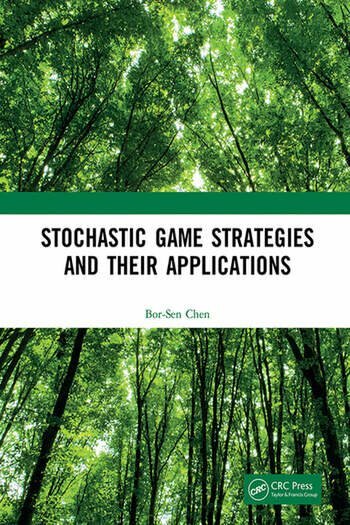 This book addresses the gap to discuss general stochastic n-person noncooperative and cooperative game theory with wide applications to control systems, signal processing systems, communication systems, managements, financial systems, and biological systems. 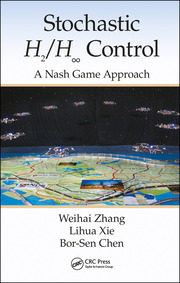 H∞ game strategy, n-person cooperative and noncooperative game strategy are discussed for linear and nonlinear stochastic systems along with some computational algorithms developed to efficiently solve these game strategies. Bor-Sen Chen received the B.S. degree from the Tatung Institute of Technology, Taipei, Taiwan, in 1970, the M.S. degree from National Central University, Chungli, Taiwan, in 1973, and the Ph.D. degree from the University of Southern California, Los Angeles, CA, USA, in 1982. He was a Lecturer, an Associate Professor, and a Professor with the Tatung Institute of Technology from 1973 to 1987. He is currently a distinguished Tsing Hua chair Professor of electrical engineering and computer science with National Tsing Hua University, Hsinchu, Taiwan. 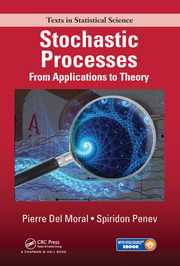 His current research interests include control engineering, signal processing, and systems biology. Dr. Chen was a recipient of the Distinguished Research Award from the National Science Council of Taiwan four times. He is a National Chair Professor of Ministry of Education of Taiwan. Prof. Chen is also a Life Fellow of IEEE.